The poison ivy is a wild flowering plant that grows to about 2-3 feet high. It is common knowledge that touching the poison ivy plant results in itchy and painful skin rashes due to an allergic reaction of the body. What is Poison Ivy Poisoning? 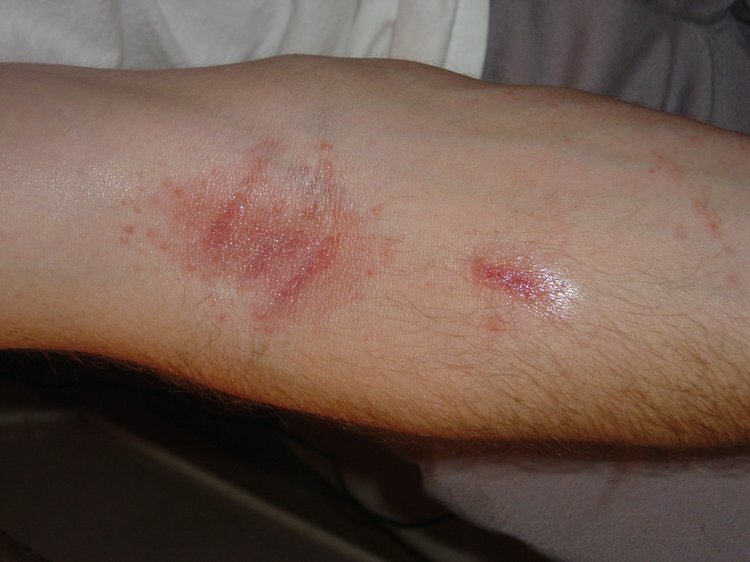 Poison Ivy Poisoning may be also referred to as Poison Ivy Toxicity or Poisonous Ivy. What are the Causes of Poison Ivy Poisoning? What are the Signs and Symptoms of Poison Ivy Poisoning? The symptoms are usually seen within 1-3 days (and sometimes, after 5 days) following contact with the poison ivy plant. The severe phase of skin symptoms is typically between days 4 and 7 of exposure. How is First Aid administered for Poison Ivy Poisoning? In case of hospitalization, the affected individual may be provided with breathing support, suitable medications to address the symptoms, and fluids by an intravenous drip line, if necessary. Who should administer First Aid for Poison Ivy Poisoning? What is the Prognosis of Poison Ivy Poisoning? How can Poison Ivy Poisoning be Prevented? Pell, S. K., Mitchell, J. D., Miller, A. J., & Lobova, T. A. (2010). Anacardiaceae. In Flowering Plants. Eudicots (pp. 7-50). Springer Berlin Heidelberg. Kinghorn, K. (2010). Toxic plants. Columbia University Press. Le Coz, C. J., Ducombs, G., & Paulsen, E. (2011). Plants and plant products. In Contact dermatitis (pp. 873-925). Springer Berlin Heidelberg. Boelman, D. J. (2010). Emergency: Treating poison ivy, oak, and sumac. AJN The American Journal of Nursing, 110(6), 49-52. Paulsen, E., Christensen, L. P., & Andersen, K. E. (2010). Dermatitis from common ivy (Hedera helix L. subsp. helix) in Europe: past, present, and future. Contact Dermatitis, 62(4), 201-209. Barkley, F. A. (2015, January). Poison Ivy and Poison Sumac as an Etiologic Factor in Contact Dermatitis in the Central States. In Proceedings of the Oklahoma Academy of Science (Vol. 15, pp. 22-30). Castelain, M. (2011). Globalisation and allergy. European Journal of Dermatology, 21(4), 472-478. Liu, B., Tai, Y., Achanta, S., Kaelberer, M. M., Caceres, A. I., Shao, X., ... & Jordt, S. E. (2016). IL-33/ST2 signaling excites sensory neurons and mediates itch response in a mouse model of poison ivy contact allergy. Proceedings of the National Academy of Sciences, 113(47), E7572-E7579. Filmer, A. K., & Dodge, L. (2012). Safe and Poisonous Garden Plants. California Poison Control System, University of California, USA, Davis.